The Praxis II for Psychology test leads to certification as a school psychology teacher. Today we’ll look at the content of this exam, and how to prepare. This test doesn’t lead to certification as a K-12 school psychologist. The Praxis actually has a separate Praxis II School Psychologist exam for that purpose. The test structure is pretty simple and straightforward. You must answer 120 questions, all of which have the same format: multiple choice, with one correct answer. The content of the Praxis II Psychology, on the other hand, is quite varied and complex. Some questions will focus on the more scientific aspects of psychology, such as biopsychology, sensation, states of consciousness, perception, learning, memory, cognition, and the psychology of human development. Other questions are more oriented to clinical psychology, testing knowledge of psychological differences between individual people, psychological disorders, and clinical treatments for psychological problems. There is also a subset of questions that deal specifically with clinical counseling and cognitive therapy. In this domain, you can expect to see questions about stress, motivation, emotions, personality, cross-cultural psychology, and social psychology. Last but not least, this test includes questions about psychology as a profession. Certain multiple choice prompts on the exam deal with methods for psychological research and assessment and approaches to practicing psychology. The ethics of psychological research, assessment, and practice also come up on the exam. 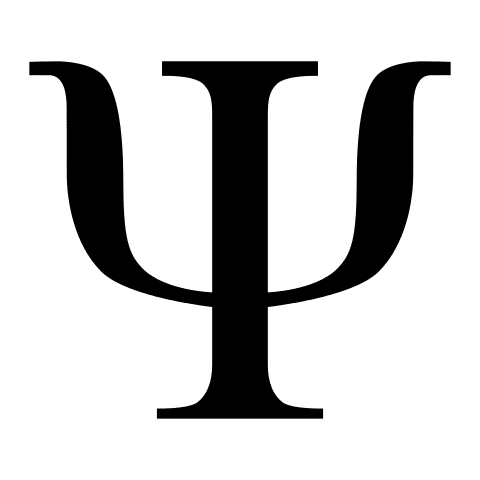 In short, if you’re taking the Praxis II for Psychology, you can expect the test to be an in-depth review of all of the university psychology classes you’ve completed. One valuable way to prepare for the Praxis II in Psychology is to get a degree in psychology — or a degree that includes many psychology classes — before you take the exam. And if you’re taking this test, you almost certainly do have that coursework under your belt. Still, regardless of how much psychology you’ve studied and how recently you’ve studied it, you’ll want to prepare for the test in other ways as well. The best prep materials for this test are the official ones from ETS. I especially recommend the free official Praxis Psychology Study Companion from ETS. If possible, you should purchase the official web-based Praxis II Psychology interactive practice test too. Now, unofficial non-ETS practice materials for the Praxis II are pretty rare, because there are so many different Praxis II exams… But there are some third party prep materials for this particular Praxis II exam. Be careful though — a number of the non-ETS Praxis Psychology prep materials are outdated. If you decide to look for extra prep materials for this test, make sure that the materials show the correct, updated ETS number for the exam — Psychology 5391. Books, flashcards, and other resources that are numbered 0391 are based on older versions of the test. Interestingly, the Praxis II exam for Psychology and the Praxis PLT both cover a lot of the same content when it comes to developmental psychology and learning theory. The work of Bandura, Erickson, and Piaget are especially likely to come up on both exams. So if you live in a state that requires both the PLT and a Praxis II content exam, consider studying for Praxis II Psychology and the Praxis PLT at the same time.